Editorial a Contracorriente, 9780985371548, 292pp. Caught between the well-worn grooves the Boom and the Gen-X have left on the Latin American literary canon, the writing intellectuals that comprise what the Generation of '72 have not enjoyed the same editorial acclaim or philological framing as the literary cohorts that bookend them. In sociopolitical terms, they neither fed into the Cold War-inflected literary prizes that sustained the Boom nor the surge in cultural capital in Latin American cities from which the writers associated with the Crack and McOndo have tended to write. 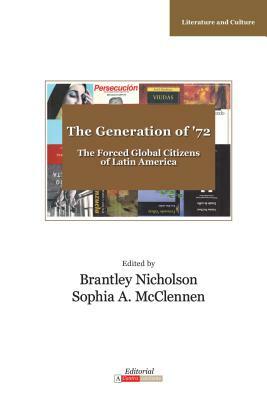 This book seeks to approach the Generation of '72 from the perspective of cosmopolitanism and global citizenship, a theoretical framework that lends a fresh and critical architecture to the unique experiences and formal responses of a group of intellectuals that wrote alongside globalization's first wave.